I actually had Dr Jordan in Chantilly, so this is my review for him. Really relieved Ive found someone who understandsmy ailments and will work with me to make things better. He's also very knowledgeable about lyme disease and it made me really happy to hear because I had been struggling to see /someone/ who can help me since my insurance change. I look forward to my future visits with Dr Jordan. I actually had Dr Jordan in Chantilly, so this is my review for him. Really relieved Ive found someone who understands my ailments and will work with me to make thingsbetter. He's also very knowledgeable about lyme disease and it made me really happy to hear because I had been struggling to see /someone/ who can help me since my insurance change. I look forward to my future visits with Dr Jordan. 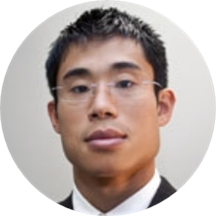 Dr. Eugene M. Su DC, MAOM was born and raised in Northern Virginia, and graduated with honors from Virginia Tech with a B.S. in Science of Human Nutrition, Foods, and Exercise. He furthered his health and wellness education at Southern California University with a Master's Degree in Acupuncture and Oriental Medicine and a Doctorate in Chiropractic. Dr. Su is a third generation practitioner of Oriental Medicine in his family lineage. He combines his Far Eastern philosophy & background with his Western science education to formulate a personalized plan of care that will meet your needs.